There are a few things one can be in the world of North American sports that carry a significant amount of prestige. For instance, being the Yankees’ shortstop like Derek Jeter, the Cowboys’ quarterback like Troy Aikman, or the Flyers’ Center like Eric Lindros are positions that you might’ve aspired to play when you started playing sports. If you’re thinking that these sound too old timey or that they harken back to the 20th century, then think about it this way: Kids want to be the Patriots’ quarterback, the Yankees’ shortstop, and the Cavaliers’ small forward. Or, they want to be the world heavyweight champion. Professional boxing’s popularity may be crumbling beneath the weight of mixed martial arts’ popularity in the 21st century, but being the world heavyweight champion has remained a significant achievement in the world of athletics since boxing champions started to receive belts. 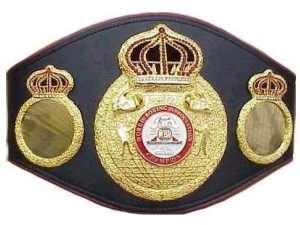 Even if the WBA, WBC, IBF and WBO World Heavyweight titles mean nothing ten years from now, the men who have adorned these gaudy, wearable trophies are some of the greatest athletes to ever compete in any realm of sports. It is with that in mind that we here at Spike’s pay homage to the greatness of the World Heavyweight Championship in our Famous Awards series. 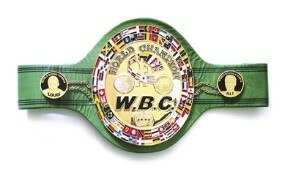 These fighters are generally included among the best in lists of the greatest heavyweights of all time. Why it’s notable: At the time, both men were undefeated. Frazier had won the world heavyweight title after it was stripped from Ali because of his refusal to participate in the United States military draft. This was a fight between two of the greatest fighters ever, both in their respective primes. Why it’s notable: This was the last great bare-knuckle prize fight for a heavyweight title. Why it’s notable: Max Baer was literally lethal in the ring. He was directly responsible for two boxing deaths. However, Jim Braddock was a nobody, who beat the deadly Baer against virtually all odds. Why it’s notable: This was a rematch. Louis lost the first fight, and Max Schmeling was a German at the height of Nazi aggression. Louis knocked Schmeling out in the first round of what can be arguably called the most important sporting event of the 20th century. 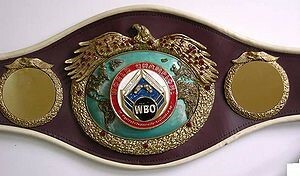 Why it’s notable: Tyson was in his prime, coming into the fight as the undisputed world heavyweight champion. He was considered an unstoppable force in the ring. Some say the moment Tyson hit the mat is the moment boxing’s relevance began its decline. We hope you enjoyed this as much as we enjoyed writing it. 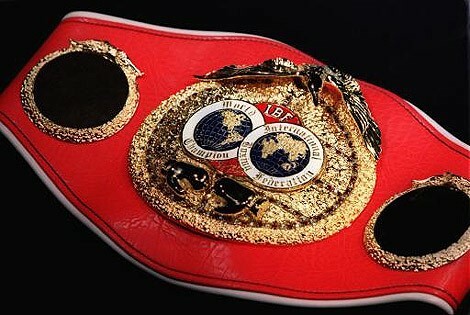 And remember, if you need your own championship belt made, or any other plaque or trophy, give us a call or a visit! This entry was posted in Uncategorized on December 10, 2015 by Spike's Trophies.